We need to make room for NEW stuff. Must be 1/2 yd. cut (for fabric on the bolt). This does include all pre-cut Christmas fabrics as well. If you already have the pattern and want to take the class you will please call me and I'll let you know your cost and what you need to buy! You must pre-register and pre-pay for this class. No refunds. We will also take pre-paid orders for kits, patterns or interfacing. 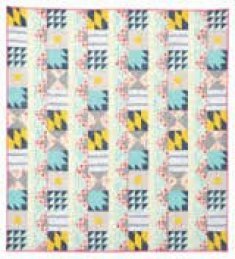 This is a teaser alert...hopefully in June we will be starting a NEW block of the month quilt! 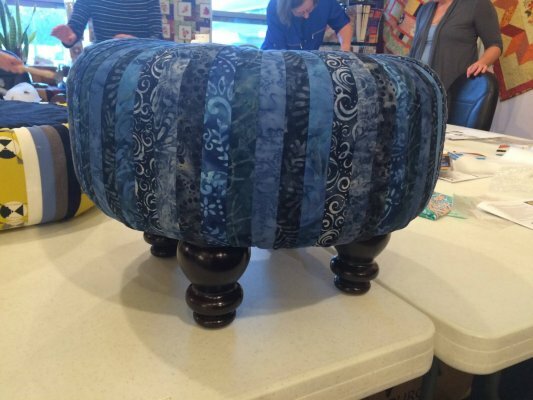 It's an 8 month BOM featuring Cotton & Steel fabrics. We will be doing the throw sized. The pattern book does include instructions for a Queen size also. 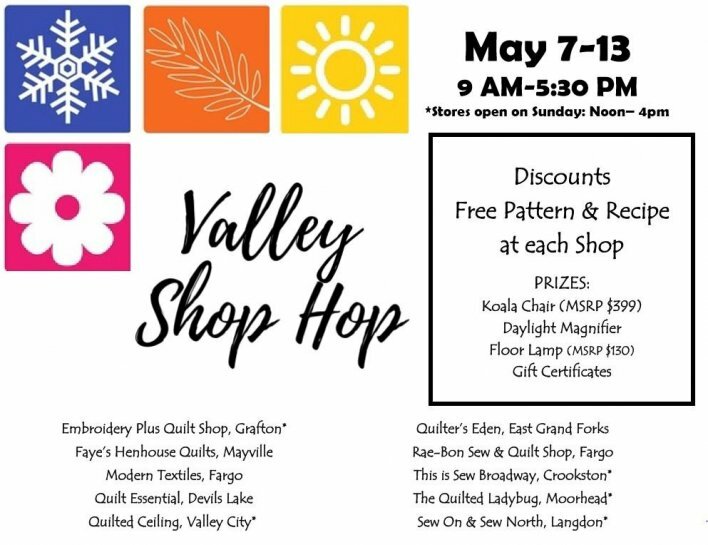 Do you know about the Valley Shop Hop? 1. Shop at the participating shops May 7-13, 2017. 2. Get a passport at your first stop and get it stamped at every shop you visit.Must be present to get stamped. 3. Draw at each shop for your discount of 10%,15%,or 20%. 4. 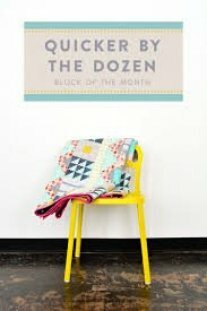 Collect the FREE 12" block pattern from each shop. Shops may even have kits of their block for sale. These blocks can be cute "mini-quilts", table toppers, or put them together for a unique quilt. 5. Sample the shops featured snack, and collect the FREE recipe card.